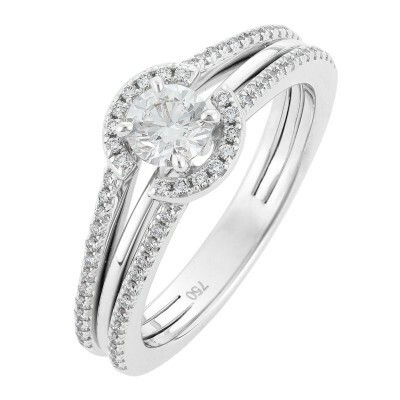 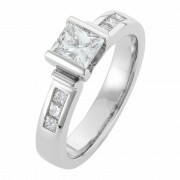 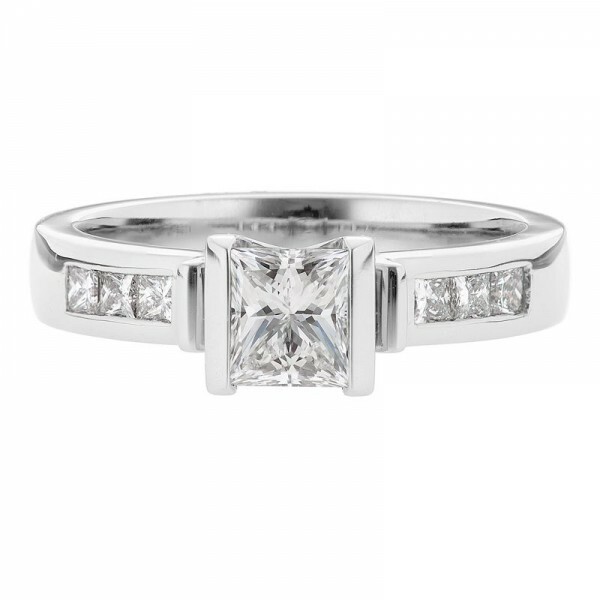 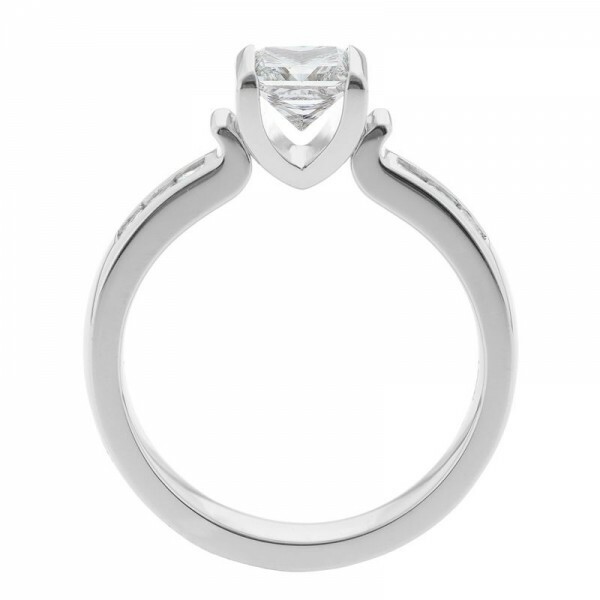 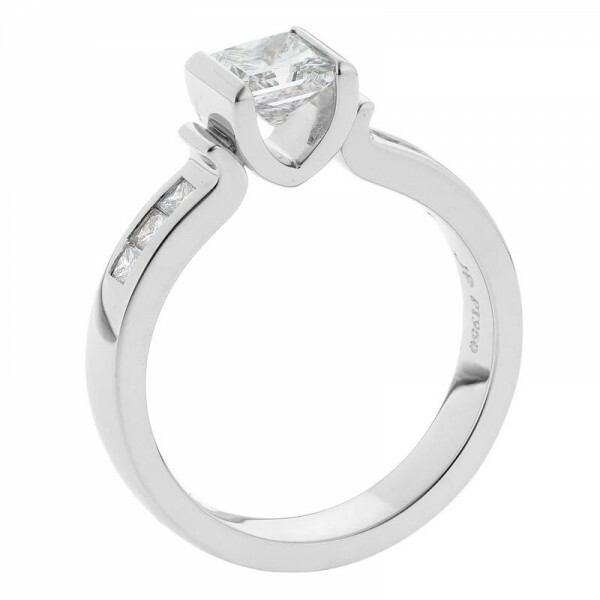 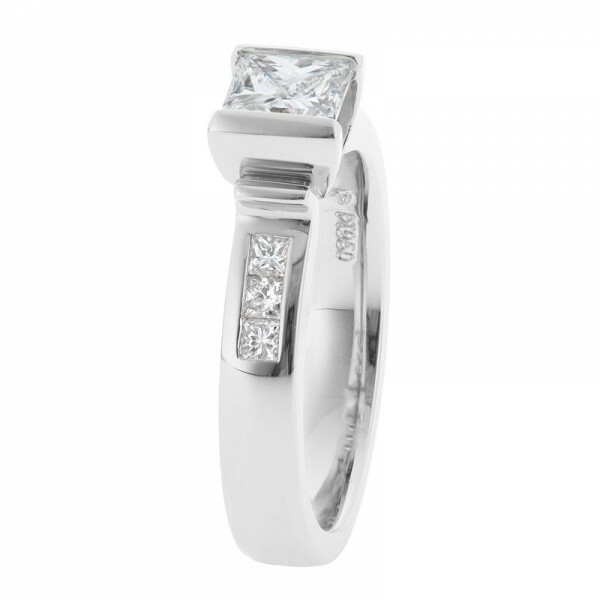 Visually interesting from all angles, this modern set style featuring a stunning princess cut diamond, embodies square edges and clean lines, against a softly rolled band. 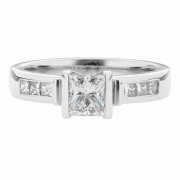 Channel set princess diamonds on the band offer a touch of yesteryear with the semi bezel centre adding the ‘now’ factor. 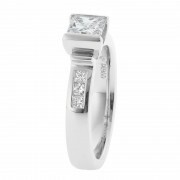 A striking piece that won’t go unnoticed!